Drones buzz through the air and pilots stand just outside the yellow caution tape with headsets that cover their eyes and remote controls bigger than their heads. 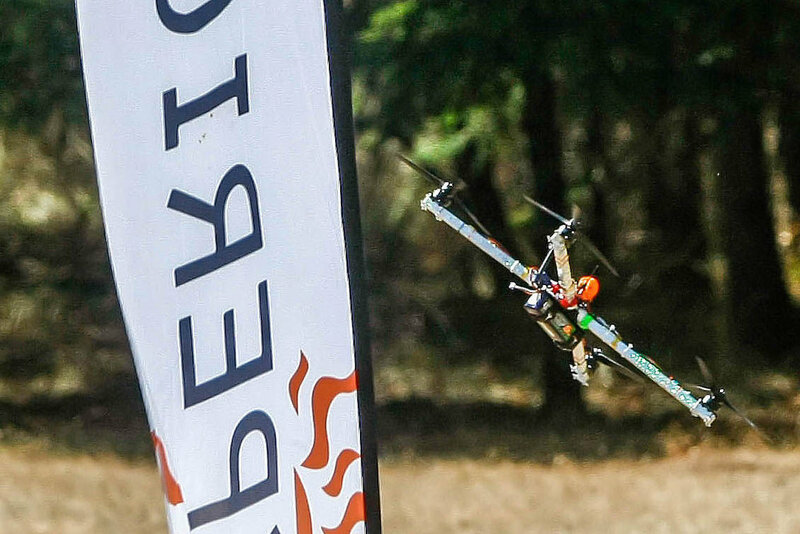 First-person-view, or FPV, drones have taken over Whistler’s Bend Park this weekend. The drone racing started Friday and will continue until later this evening. What makes Whistler’s Bend perfect for drone racing are the variations in open and wooded terrain. A course was laid out, complete with obstacles such as rings and gates, on a field that was 75 percent grass and 25 percent densely wooded area. The wooded area caused some trouble for Angela Jacques, of Mexico, who piloted her x-class racing drone into the trees more than once. X-class racing drones are bigger, longer drones that are fairly new to the racing competition. “It’s like flying a boat,” Brown said.